J&N is a company founded in 2018 by two old friends Joe & Neil who between them have over 30 years experience within the Painting and Decorating industry. During this time, we have worked together on two well respected and established companies within the industry delivering great success and achieving excellent finishes. 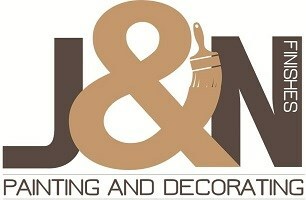 Due to our success we have decided to form J&N Finishes. At J&N we guarantee the perfect finish with excellent attention to detail, we are dedicated to delivering quality, craftsmanship and customer care. We pride ourselves on delivering a decorating service which is punctual,neat,courteous & safety conscious. We will work within your timescale at minimal disruption and cater for your budget. We incorporate integrity, reliability and professionalism into every project whether it be large or small.